Want to watch the Buick while you’re at work? Yeah, don’t we all. While I would never advise someone to watch golf while ‘working’…umm…here is the link. 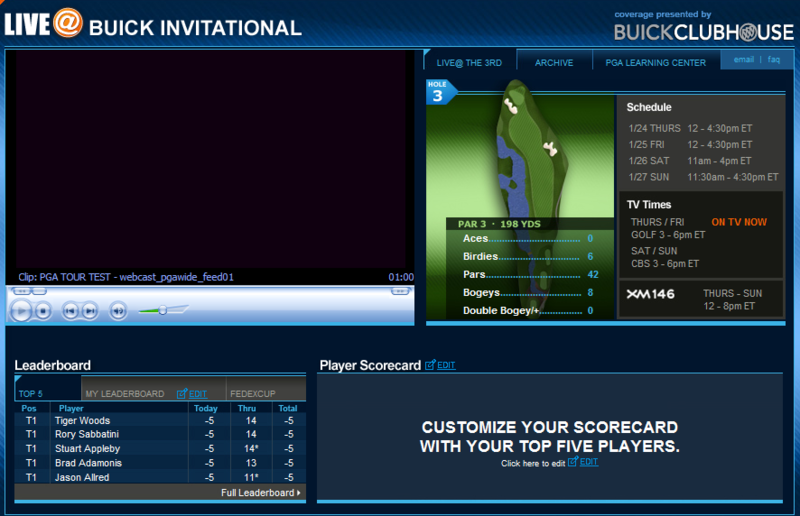 PGATour.com has put together a nice little tool that shows you all sorts of info as well as a live leaderboard. Great link – watching every evening here in (cold and wet) Amsterdam. The image quality is really excellent – full screen on my laptop looks as good as TV. What a shame they are only covering the 3rd hole and not others.